About Love Lupin : Hats, Fascinators and Accessories | Contemporary Millinery. 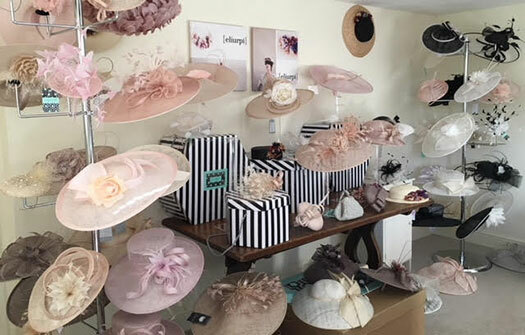 From a beautiful studio in Harpenden, Hertfordshire, Love Lupin Millinery have created a unique environment from which to find the right hat or headpiece; whether for a wedding, royal garden party, day at the races, church or synagogue. Choose from over 200 ready to wear styles from brands such as Whiteley, Vixen, Maddox, Failsworth and Emma Linney or have something exclusively created with our Bespoke Service. 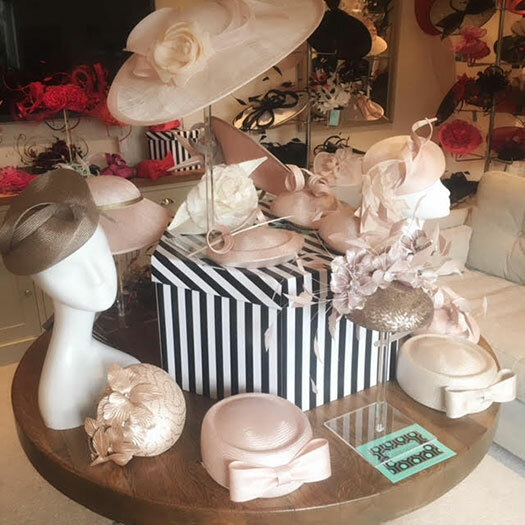 With the Bespoke Service we can make a hat or headpiece tailored to your exact requirements either building on an existing design or starting from your own idea. Love Lupin is an independent millinery business run by Vivien Miles. All hats are for sale not for hire. Please call 07985 248 719 for an appointment which are free and offer a relaxing environment, including changing facilities, to give you the space and time to know you have made the right choice. Appointments usually take approximately 30 to 45 minutes and we recommend you bring your outfit and accessories if possible. If you are unable to come to the studio we post worldwide and offer detailed photos / measurements via email to help you select with confidence. Please call Vivien on 07985 248 719 or email vivien@lovelupin.co.uk to arrange an appointment.